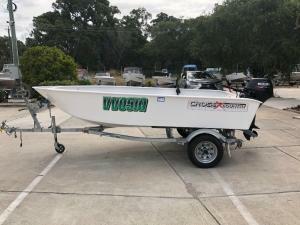 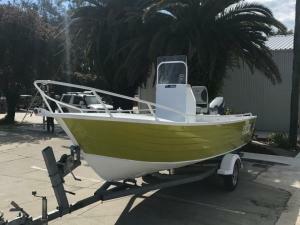 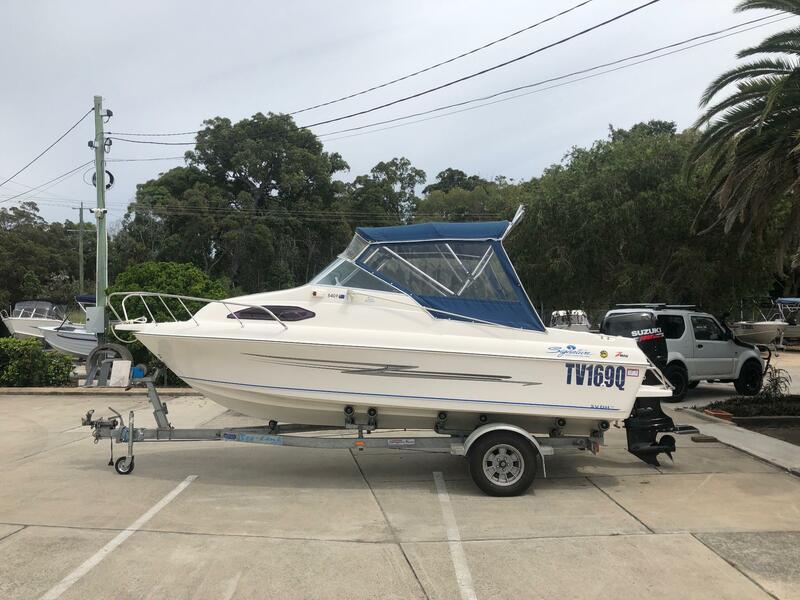 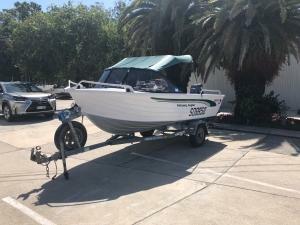 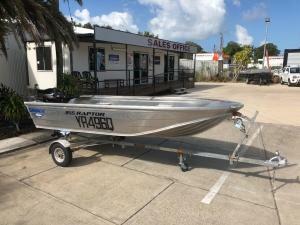 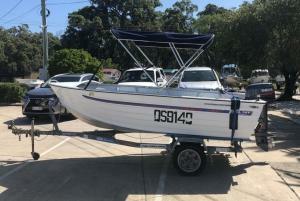 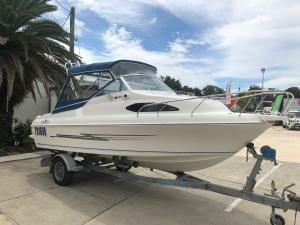 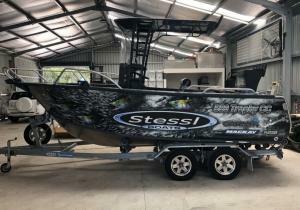 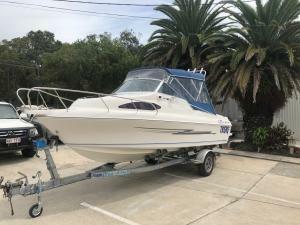 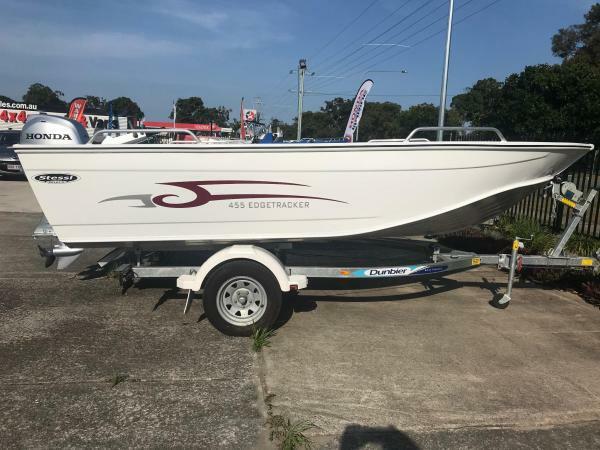 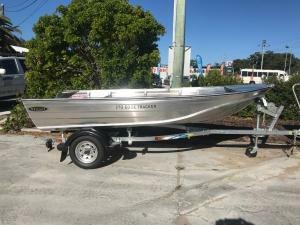 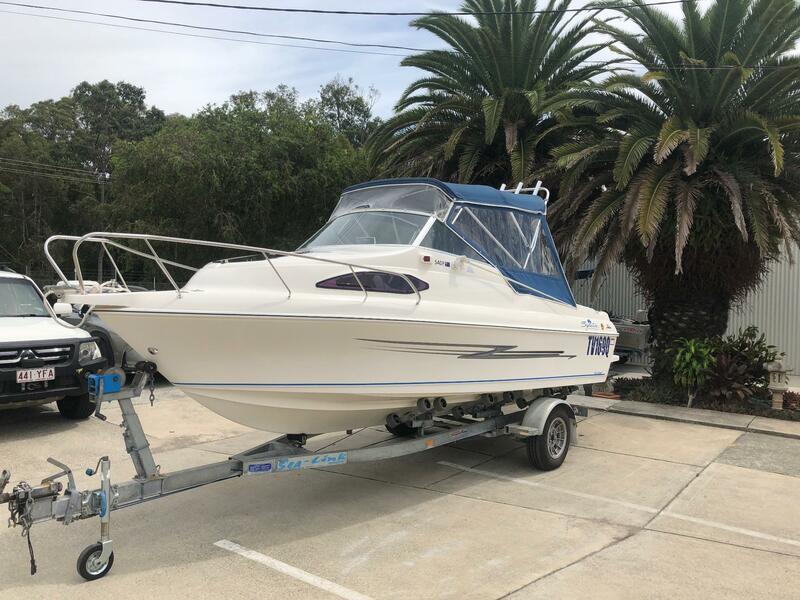 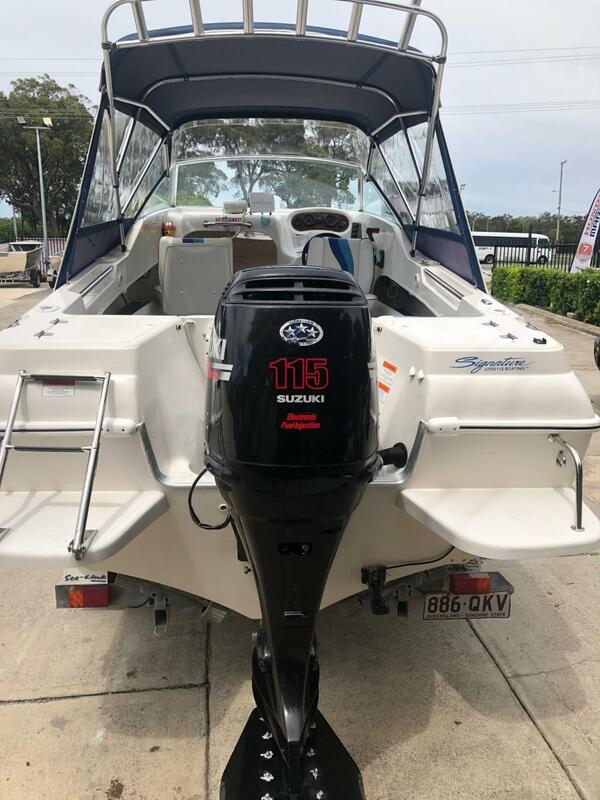 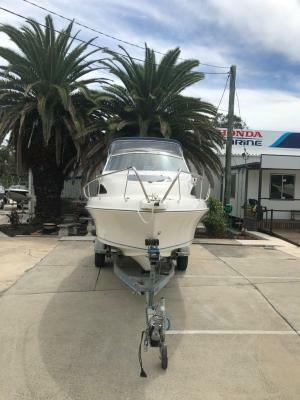 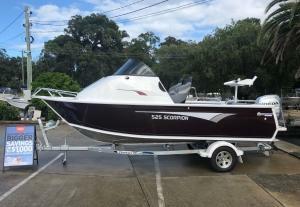 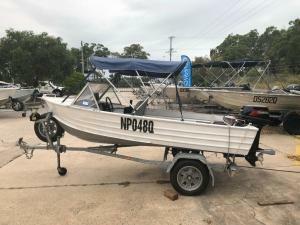 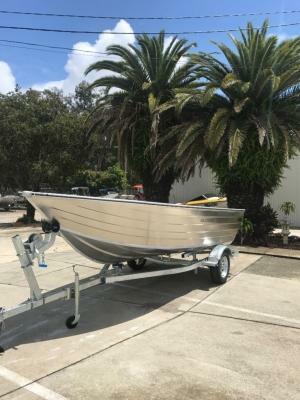 Powered by 115 Suzuki 4 Stroke with 390 hrs and full service history with only 2 owners , who have kept the boat in exceptional condition. 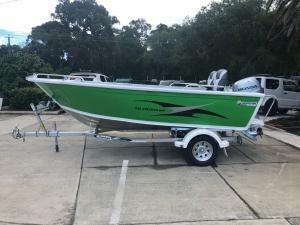 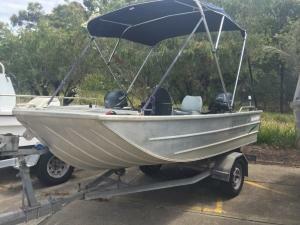 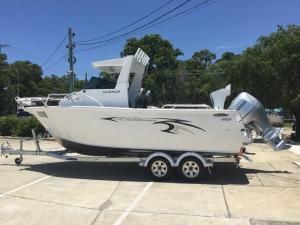 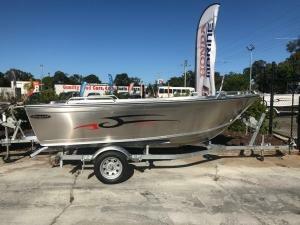 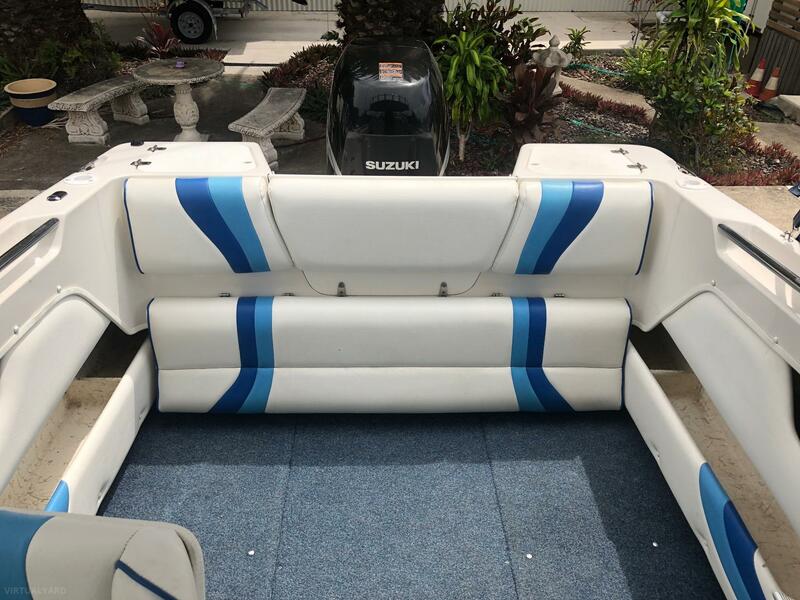 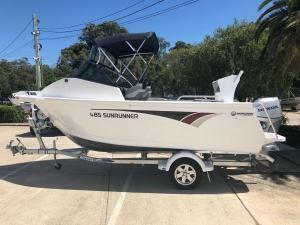 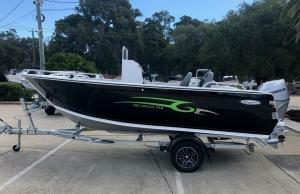 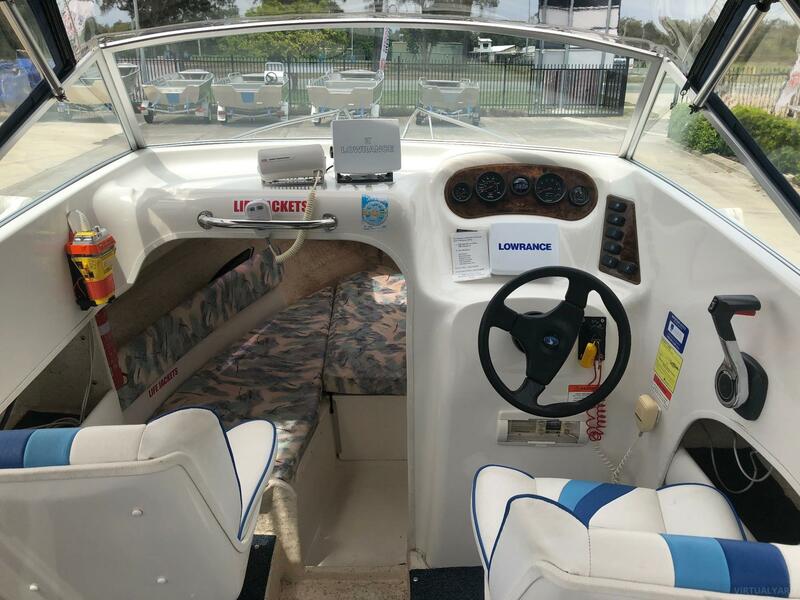 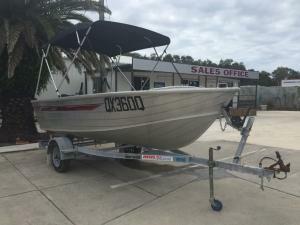 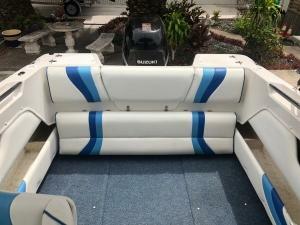 Has Lowrance Sounder & Plotter, Live Bait Well, Dual Batteries, Rocket Launchers & a Great Cabin for family with room for WC. 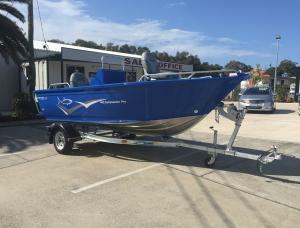 Very popular model, priced with new trailer.